Oh my goodness, if you only knew what kind of day I've had... well, I'm going to tell you. Some of you may not know that I have been competing in a Styling competition called Project Style. There are 15 malls around the country who are hosting a contest within their Mall and the winner from each mall will move on to compete nationally in November. My journey with Project Style started back in June, when I applied to be a finalist. I had to create an entire outfit from head to toe and not spend over $150! I'm thrifty, but that's still a tight budget for pumps and all. I then had to make a video and get as many people as possible to vote for me. Let me tell you, I have some serious thank yous to dole out! And trust me, I will make good on that! To see more from the first leg of this competition, click here. For the live style off, I had to create another outfit, this time for $200.00. In addition, I had to walk a runway, in the middle of a packed mall! On a Saturday! 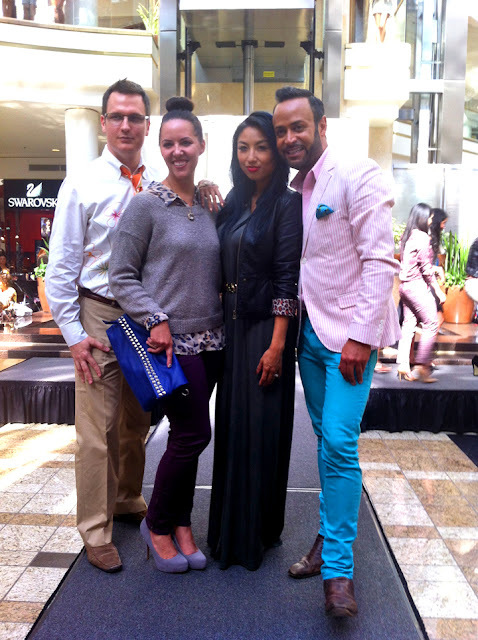 In front of the Style Network's Jeannie Mai and Project Runway's Nick Verreos!! Are you feeling my pressure? I wasn't even this nervous at my own wedding! However, I made it through the day without puking or passing out :D I competed against 4 other very talented fashionistas! I was so impressed by my contenders, truly! 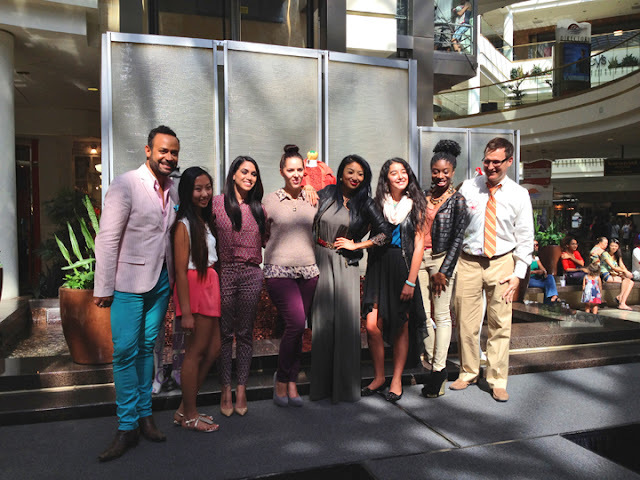 In the end though, my knowledge and preparation helped me win the title of Project Style's next trendsetter!! In addition to winning the live style off, there was a side bet going for fan favorite. I had all my friends and family members send out their votes for me via text, and with 102 votes, I took home fan favorite too!! This has been such a gut wrenching, and utterly surreal day. I do not consider myself a competitive person, but when I play, I play to win. I never once considered the outcome of not winning, and my confidence paid off.... big time! Do you want to know my prize? 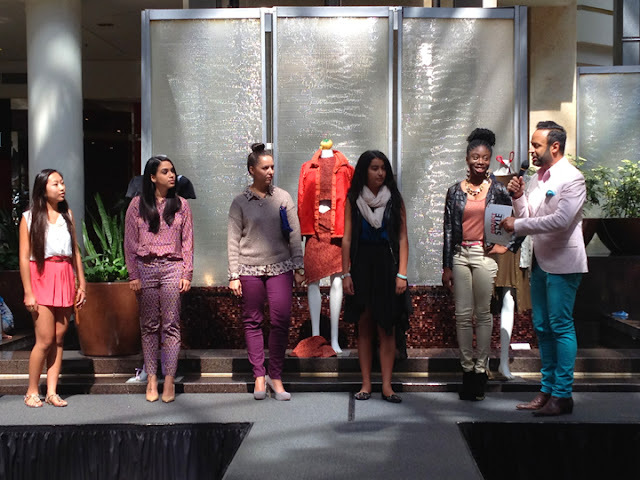 For the live style off, I received a $1,000 gift card to South Bay Galleria!!!! and.... for the fan favorite, I received another $500!! Can you believe it? This little old blogger just won $1500 in prize money! But... It doesn't end there. I now have the opportunity to compete against the finalist from other malls all around the country! If I win that, and trust me, I plan to, I will win a trip to Mercedes Benz Fashion Week next February! Seriously, how cool is that? NYFW has been a dream of mine since I was a little girl and now it's at my finger tips! I have to tell you though, what is possibly better than any amount of prize money is the validation I feel right now. All my family and friends trust my fashion sense, but to have a professional tell you, you have what it takes and you're on your way is priceless! I am beaming with confidence and joy right now! The fashion industry is brutal and there is never a guarantee that you'll be called tomorrow for a job. She emphasized the fact that although she and Nick may appear to be really successful to us, they both have bigger dreams that they are working towards everyday, they are still in the hustle. She said they could easily be replaced, just like that, and that is what drives them to push forward. The part that really rang true to me was when she said the good thing about starting from the bottom and working your way up, is that when the day comes and you are replaced and kicked down, you know exactly the path you need to take to get back up! This hits home for me so deeply because everything in my life I have had to work for and I continue to dedicate sleepless nights. I do not know when, but it will happen, I will make it to my end goal, and Jeannie filled me with so much strength to never give up even when you're kicked down! I want to share some of the photos with you from today, thank goodness my husband was there to catch every minute of it! Nick, Jeannie & I! I love how Jeannie and I were both sporting Leopard today! Photo Op with our three judges! When they announce me as the winner of Project Style!! My cheeks were hurting from smiling!! We have some videos, but I need to change the format in order to upload them. I am still in shock, but unbelievably grateful today! Three professional stylist/designers voted me the top trendsetter and told me I better continue on in my journey! Today goes down in the record books! Thank you, thank you, thank you to everyone who has cast a vote for me throughout this competition, I truly could not have done it with out you!! Tori! I am so unbelievably happy for you! I am almost in tears reading this post and feeling your energy and excitement! You really did deserve this win, and I am so happy for you, and so proud of you! Ahhh! This is so wonderful!! Congratulations!! That is wonderful. You're an inspiration to anyone who has had to work for what they wanted. Wonderful story and you look great. I'm not surprised you won! Congrats again! Oh Tori...I have been rooting for you since the start and I am so happy for you. 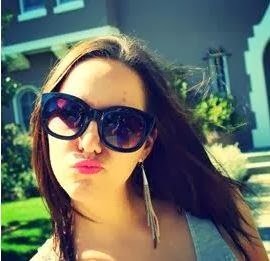 You have amazing style and I love your blog. Keep it up and celebrate! So awesome!! Good job lady... can't wait to see the next look that gets you to 2013 new York !! Congrats!! hopefully this will open more doors for you darling!!! Congratulations! Very cool. I would love to enter a contest like that! You sound so excited, that's great news! Congrats, you deserve it Tori!!!! That is so cool! Congrats! I agree, you looked the best! YAY!! HOW AWESOME!! SO HAPPY FOR YOU! !